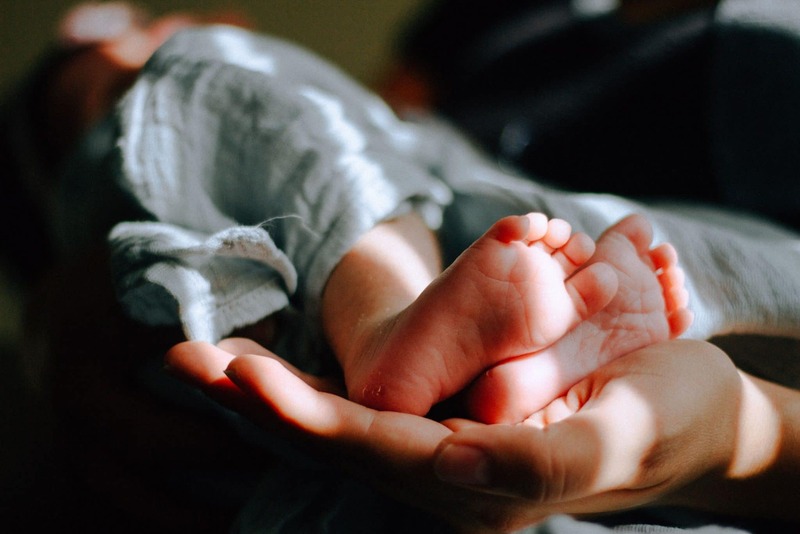 From the moment your little one arrives through the early months of your time together, Jewish tradition offers abundant insight, ritual, and community to support you in the joy and tenderness of this transformation. Becoming a parent is an awesome responsibility. One moment, you’re not a parent; the next moment, you are. There’s something beautiful, profound, and difficult about this personal shift. The Torah puts it bluntly: “With pain shall you birth children” (Genesis 3:16). The Torah is onto something: the process of helping another being emerge into the world and become their own, special, unique person can be full of both pain and bliss. Ask yourself how you can bring more love to the arrival of your child. Think about three ways you can love yourself and your baby through labor, whether the birthing process is literal or more metaphorical (e.g., adoption, surrogacy). If you are the non-birthing partner, think about three ways you can love your partner during the trying period of labor. You don’t have to approach the challenges and uncertainty of childrearing alone. Who’s on your support team? For thousands of years, wise midwives have played a supportive role, physically and spiritually, in the care of Jewish newborns. According to A Time to be Born by Michele Klein, midwives helped from the moment of conception through the birth and first months of the baby’s life, offering swaddling tips and monitoring the parents’ health and relationship to their baby. Before your child arrives, you may want to consider who you will be turning to for expertise and comfort, from birth doulas and midwives to trusted friends and family members. With your intentions set and your support system in place, you may be as spiritually and emotionally ready as you’ll ever be for the arrival of your baby! There are many ways to become a parent, from adoption, surrogacy, and sperm donation to single parenthood and co-parenting. In this guide, pregnancy and birthing play a big role, but many of the traditions and suggestions for deepening the experience of becoming a parent may be adapted for various pathways to parenthood. 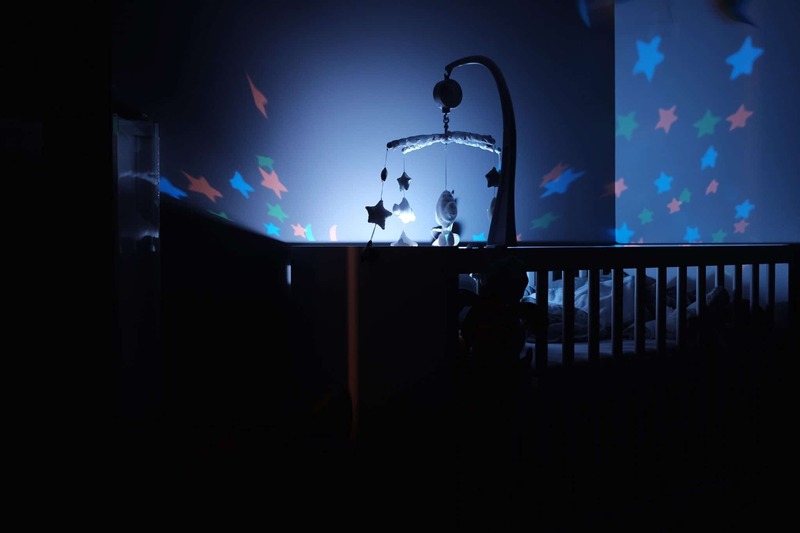 As we mentioned in Part II of our guide to becoming a parent, you may choose to personalize your delivery room, whether it is at a hospital, in your home, or at a birthing center. This is one way to set intentions around your labor. You may want to prepare items and rituals that will support you and create an environment of joy, such as music or mantras, and set expectations for other people who might be in the birthing room. There is a Jewish tradition to pray during labor using your own own words, psalms, or intentions. According to the The Jewish Pregnancy Book: A Resource for the Soul, Body & Mind during Pregnancy, Birth & the First Three Months by Sandy Falk and Rabbi Daniel Judson, this prayer can focus on your connection with the foremothers, your ancestors, or Jewish ancestry. When a non-birthing parent prays, it is for the safety of two lives, the birthing mother and the child, and it is customary to include The Shema. There’s a custom of women in labor praying on behalf of women who are struggling to conceive. One thing you can do during labor is to meditate on or pray or sing a verse of Torah. That can be hella powerful. I did this. It’s a thing. I will give thanks God. the righteous shall enter into it. When I heard that singing helps labor, I knew this was the technique for me. Nothing quite spoke to me until I found something in the Psalms. I love the words and the rousing tune: “Min HaMetzar karati Yah, Anani vamerchav Yah. From the narrow place I called out to God who answered me with the Divine Expanse.” (Psalm 118:5). There are many Jewish folk remedies to ease the pain of labor and childbirth. These ancient traditions may inspire your own (some will require contemporary adaptations!) and serve as a connection across time to parents and rituals that precede you. According to The Jewish Pregnancy Book, Egyptian Jews wrote the name of a birthing woman on a coin and put it under her tongue. In Warsaw, Jews put a coin on the mother’s belly so the fetus would see it and hurry out. Afghan women would collect rainwater on the seventh day of Passover for a laboring woman to drink. In Eastern Europe, a woman was given water from a crossroads. In the Middle Ages, women would blow the shofar on behalf of laboring women. In Judaism, there is a notion that all souls – past, present, and future – were at Mt. Sinai when the Jews received the Torah. Jewish souls, including those of people who choose to convert, will always find their way back to Judaism. For that reason, we say “Nice to see you again!” when we meet a new person who is Jewish, including babies, implying that you haven’t seen them since Sinai. It’s time to meet your child…again! Jewish superstition encourages parents-to-be and their loved ones to avoid the Evil Eye by waiting to celebrate until their child is born. This is why baby showers are rare in many Jewish communities and why many Jews avoid saying “Mazal tov!,” a celebratory exclamation, until the baby’s birth. Once your baby is born, go for it! One translation of “mazal” is “star.” Many top medieval astrologers were Jewish, and, upon birth, they would often draw up a horoscope for a baby, according to A Time to be Born. They believed that a person’s behavior, health, and personality were written in the stars, which are divine creations. Perhaps you’ll read this as an invitation to skim the horoscopes for your baby’s birthday! Speaking of celestial beings, the Talmud relates that an angel is dispatched from above to study Torah with the fetus in utero to adequately prepare the unborn child for their future existence. Upon birth, we are told, the angel, with a flick of a finger to the indentation of the lip, causes the child to forget all that has been learned. Though we may not remember what we have learned, at a subconscious level the information is there, programmed into the marrow of our being, waiting to be downloaded and recalled. All it takes is the desire and willingness to put forth the effort, to access the knowledge, and to bring it to a conscious level. What about the more earthly, physical elements of your baby’s birth? What to do with the placenta? The cord blood? These are contemporary questions with ancient Jewish solutions. The Jewish Pregnancy Book says that, according to the Talmud, the placenta should be preserved in a bowl with oil, straw, or sand and buried in the earth a few days after the baby’s birth to symbolize the cycle of life. When both our children were born, we decided to donate their cord blood. This is a really personal decision—I know parents who have decided to bank their children’s cord blood for what-ifs, and I get that, too—but, for us, there was something especially beautiful about our children’s births doubling as mitzvot. After the arrival of your child, you may mourn the end of your pregnancy or the expectant period. 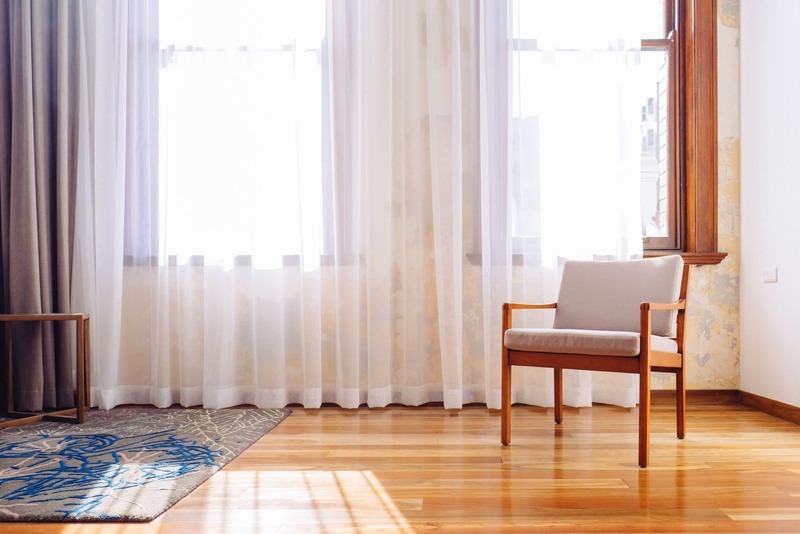 Visiting the mikveh, a ritually purifying bath, can be a meaningful practice for spiritual rebirth and physical renewal during a time of significant change and serve as yet another opportunity to set intentions for how you hope to parent. Many will experience the post-partum period as a loss. Pregnancy is a means to an end, but also a beautiful period of life in and of itself. You are not only pregnant with another human and soul, but with so many hopes and dreams for the future. The experience of having a child inside you versus birthing it into the world are quite different, and it is wise to take time to mourn the loss of pregnancy in order to fully enter the next stage and bridge the gap between the two. Use havdalah, the Jewish prayer said to mark the end of the holy Sabbath and the entrance into the mundane week, as a tool. Just as havdalah eases the transition from the heightened state of the Sabbath, so, too, can it be used to help new parents transition from pregnancy into the post-partum period. 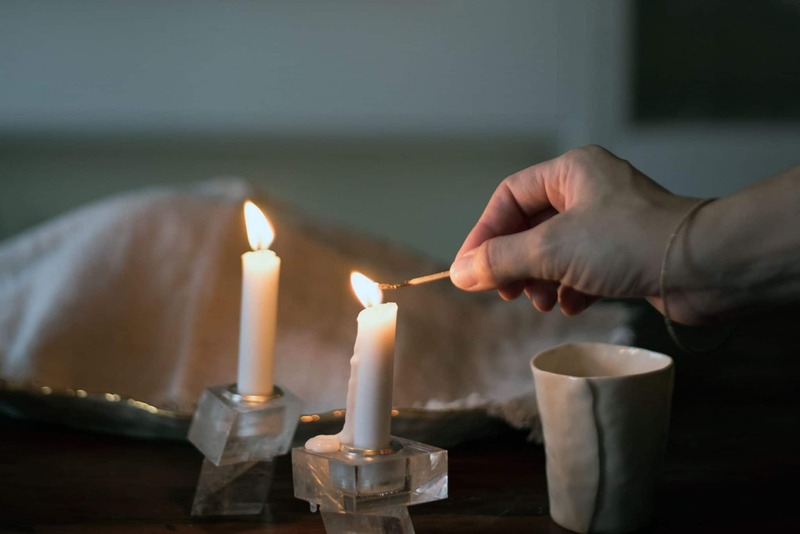 For the first 6 weeks after birth, set a weekly time to say the havdalah prayer and ceremony, which utilizes candles and aromatic spices, or create your own similar ritual, with this intention in mind. Use the ceremony to honor the pregnancy period and all that you were pregnant with for nine months and to bring it with you into the next stage of your life with baby. Judaism considers the first week after you bring your baby home to be a time for celebration if the parents and baby are well. You may consider hosting a festive meal for visitors who will bring gifts and sing and dance for you and your baby. You may choose to burn candles throughout the week, since light is an expression of rejoicing and is also a precaution against demons who work in the dark, according to A Time to be Born. Jewish tradition places a special focus on the first Shabbat, a time of happiness and rest and joy, after you bring your child home. It is considered to be especially auspicious to pray for your children while lighting Shabbat candles. According to A Time to be Born, in Yemen, a birthing mother is considered to be close to death, so it is as if she has been reborn after she gives birth to a child. She wears an embellished ceremonial gown when receiving guests on the first Shabbat after the birth of her child. It is customary to wear the same gown on Kol Nidre and on her deathbed. You may choose to adapt this tradition by finding something special to wear on your child’s first Shabbat at home and to rewear that item at significant moments in your or their life in the future. Other ancient Jewish traditions described in A Time to be Born include piercing a baby’s ears with a needle and red thread or tying a red thread around a baby’s wrist to ward off evil, painting a baby’s eyelids with carbon black to enhance their beauty, and washing a baby in a tub that other healthy babies have been washed in. You may want to check with your doctor before practicing a few of these rituals! The addition of a new baby to any family typically means that initially all hands are on deck to care for and protect that child. This requires a lot of time, attention and energy. Over time, in most cases this type of caregiving falls more heavily on one partner, so it’s important to keep in mind that however rewarding it is, it is also quite draining. One of the biggest factors for maintaining healthy intimacy in a couple after the arrival of a baby is ensuring that the primary caregiver has time to recharge. This means giving her or him the opportunity to have space and time to do something not related to baby. 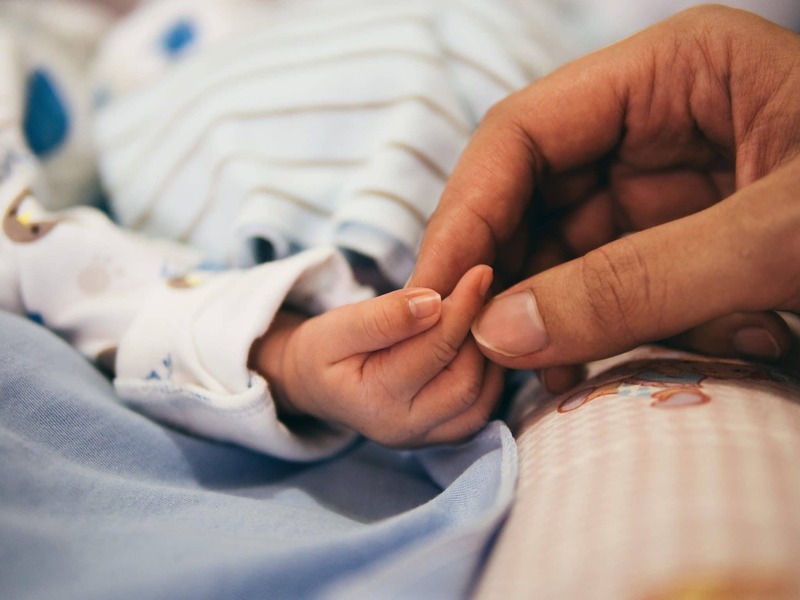 To get started, acknowledge that the needs of the new baby take priority and that those needs may be met primarily by one partner, but the other partner can help create space for the primary caregiver. Think about activities that can refuel energy. Can you relieve the primary caregiver to go for a walk, or to the gym? Do they need time with friends? How much time feels right and reasonable? Calendar in times when these activities ideally can be done, but make sure that there is some flexibility as babies sometimes have their own agenda. If the caregiver can’t make it to one of their recharge activities, reschedule or make sure there is something on the horizon for them to look forward to. Having the space to be relieved of the caregiver role can make a huge impact on the caregiver and their partner. If you are an adoptive parent, you may choose to convert your child if they are not already Jewish. Those who practice Judaism most stringently only consider a child to be Jewish if their biological mother is Jewish. The same is true for the Conservative movement, while the Reform movement considers a child to be Jewish if either parent is Jewish and the child is raised Jewish. Depending on your own Jewish practice, you may choose to convert your child – or not – in a way that aligns with your tradition. The primary ritual of the conversion process is the mikveh. Whether or not you choose or are able to breastfeed is a very personal decision and should be up to you and your child. Don’t skip showers. Find time for you, whether it’s stepping outside for 5 minutes, having designated “no baby talk” time with your partner, and/or creating your own rituals around your feeding routines, like watching your favorite show, listening to a podcast, or drinking some wine. Work on accepting the difficult nature of time, and honoring all the conflicting emotions you feel. Be extremely kind and patient with yourself. And take lots of naps when you can. For those adopting or not breast or chest feeding, be sure to carve out some special “skin-to-skin” time with baby for added bonding. A nice visual/sensation to work with here is to watch and feel as your bellies rise and fall together, as your heartbeat helps stabilize baby’s. From Greek times until now, Jews have insisted that a nursing woman maintain a good, healthy diet, according to A Time to be Born. It’s probably not a bad idea to maintain a healthy diet during early parenthood, even if you are not breastfeeding; this is one way to regulate your body during an often sleepless and hectic time. There are several holistic options for supporting your body and milk production during breastfeeding, or the traditions of your ancestors may feel relevant. For example, Yemenite women drank hot milk with honey and clarified butter (ghee), while Indian Jews preferred sweetened coconut milk mixed with dill seed. A brit milah, also know as a bris, is a ceremonial circumcision, which traditionally takes places on the eighth day after a Jewish baby boy’s birth. A brit bat, a ceremony for welcoming and naming girls, is a newer tradition. A bris is a ritual imbued with great spiritual significance, as it maintains the covenant between God and Abraham, and, therefore, the Jewish people. There is also historical significance to the bris, since Jews have been forced to renounce this rite in the past; for example, by the Catholics in Spain in the Middle Ages. The bris is one of the strictest rituals in Judaism – you can even conduct one on Yom Kippur! Whether the bris is an exciting or upsetting ritual for you, this is the first major Jewish milestone for your child and an opportunity to consciously reflect on Jewish tradition and its continuation (or not) and to actively shape your Jewish practice with your child. You may choose to have a conversation with your loved ones about what this tradition means to them and to practice or adapt the ritual in a way that speaks to you and your values. Ritualwell offers a bounty of original covenant and naming rituals. There are many ancient customs around the bris. It was customary to stay up all night the night before a bris studying Torah or making music, dancing, eating, drinking, feasting on fruit, reading psalms and singing about Elijah, the prophet who is believed to be present at every bris to ward off the Evil Eye. According to A Time to be Born, Moroccan Jews auctioned off the privilege of being the first to hold the baby, and the money went to either charity or the family of the baby if they were in need. In North Africa, Jews read the Zohar and decorated Elijah’s chair, as well as hung red scarves on doorposts to inform others a bris was taking place, a tradition which originated in Spain when performing a bris was forbidden. Libyan Jewish women sing and crush spices and dried flowers to make perfumed water for guests after a ritual circumcision. There are several special roles to consider in a bris which all provide opportunities to honor those who will play a role in your baby’s life and who will support you as a parent. The mohel is the person who performs the circumcision. Here is a helpful guide on finding a mohel who’s right for you. There is also the person who carries the baby to the ceremony, the person who holds the baby during the circumcision, and the guests who stand to welcome the baby and Elijah. As for the ceremony itself, the blessings are historically about religious duty, but you may choose to select blessings that reflect the values, Jewish and otherwise, that you would like to pass along to your child. Traditionally, the ceremony ends with the public announcement of the baby’s name and a prayer for the parents’ wellbeing. Then, a feast, featuring songs and poems written by the guests. The brit bat is less formal and traditional than a bris, but still a wonderful opportunity to imbue all of the traditions and blessings above onto your daughter. Traditions include celebrating the night before the brit bat, reciting blessings about the matriarchs, and enjoying a festive meal. A brit bat typically takes place on a Shabbat morning one month after the baby’s birth. You may choose to include foods symbolic of fertility or to wrap the baby in veil or tallit that they will use at their wedding or bat mitzvah. When a baby is born prematurely or spends time in the NICU or special care unit, it can be challenging or frightening for the entire family. This time can also be an opportunity for healing and hope. It can affirm the child’s life, no matter what the prognosis or waiting period, as well as establish the family even while still in the hospital. For Jewish families, it can be challenging to decide when or if to hold a naming ceremony if the child spends days or weeks in the hospital. Should they formally give the baby an English or Hebrew name without a ceremony? Hold a ceremony with friends, family, or community without the baby? While some may be superstitious about giving a name for paperwork without a formal naming blessing, others will choose to name the child while still in the hospital. Another option is to hold a naming or welcoming ritual at the hospital with the baby. Gather friends and family in the hospital chapel or at a nearby home or synagogue. This way, the parents, grandparents, or other relatives from out of town, if appropriate, have the opportunity to visit the baby before or after the ceremony. If your NICU allows it, hold a small ceremony in the hospital with a few people surrounding your baby. Wherever you hold your ceremony, with or without the baby, you may want to include a ritual object that will later welcome the baby home and play a role in their lives. Frame a photo of the baby to use in a non-hospital ceremony, or highlight an object like a stuffed toy or blanket that the baby will eventually use. Pass the object around at the ceremony, giving guests the opportunity to bless it. Rabbinical student Elyssa Cherney suggests designing and signing a Baby Ketubah, which outlines a parent’s commitments to their child. Here is an example, which includes a quotation from the Talmud about raising children. Take time to honor the healing journey of the parents. The parent who gave birth to this child can recite the Gomel prayer for having come through a dangerous life experience. This interpretive Birkat ha-Gomel by Kohenet Ahava Lilith EverShine incorporates both parents. Igael Gurin, a rabbi and writer, shared a parenting story from the Talmud with us. 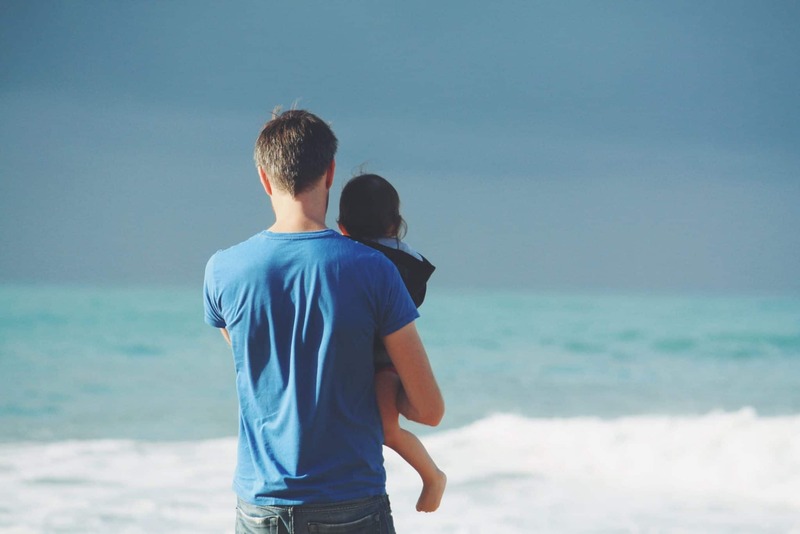 The Talmud says that a father has three obligations to his children: to teach them Torah, to give them a profession, and and to teach them to swim. What does this mean for our everyday lives? Teaching Torah, Iggy explains, is teaching your child how to live life in a moral, ethical, and values-based way. Giving your child a profession means teaching them how to do something that will sustain them. Teaching your child to swim means teaching them how to survive in an immersive environment and how to maneuver around forces bigger than themselves. There is something very spiritual about the concept of immersion, since water actually precedes God in the creation story. Water symbolizes the Torah and the womb, both sources of life and inspiration. With this story in mind, consider how you will choose to raise your child. How will you respond to challenging times and moments of celebration? These are deeply personal decisions, and life with a child can be unpredictable. We look forward to learning with you and being a resource for you as your parenting journey evolves. Want to share your personal experience of becoming a parent and learn tips from other Arqies? Check out our crowdsourced kit of stories and resources! Special thanks to Sara Weinreb for co-authoring this guide.